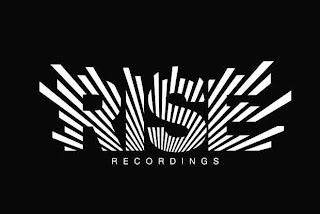 This is the logo for Paris based electro label ‘Rise Recording’ – its nice and I can see what the designer has done but it always bugs me as I cant decide if it looks like it is rising out of the page, shrinking into it or accelerating forward. 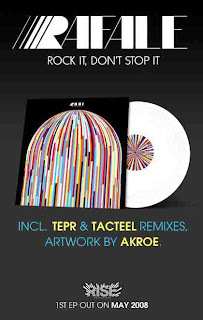 I had a look on their website (http://www.myspace.com/riserecordingz) thinking that maybe it wasn’t designed for print but to be a animated on the web but have found no indication of this. Whilst on the site I found this piece of artwork though for one of their new recordings which really caught my eye – its one of those pictures that never gets boring to look at.